Baker takes special care to discuss how to promote gender equity in PreK science education environments. Gender equity in PreK requires that students have ample opportunities to engage in science-based activities that nurture their natural curiosities rather than stifling those interests early on. Baker cites research from The National Science Teachers Association (2014), which recommends that young learners be provided with long-term activities that promote exploration and curiosity. Teachers should also be sure to ask open-ended questions, engage with both boys and girls, pay close attention to girls’ interests in relation to science, and leverage literature as a way to foster an interest in science across genders. Baker stresses the importance of fostering competence, confidence, and self-efficacy in all science students. Teachers can contribute to girls’ self-efficacy by creating opportunities for girls to engage in challenging tasks successfully and providing positive messages about competence. 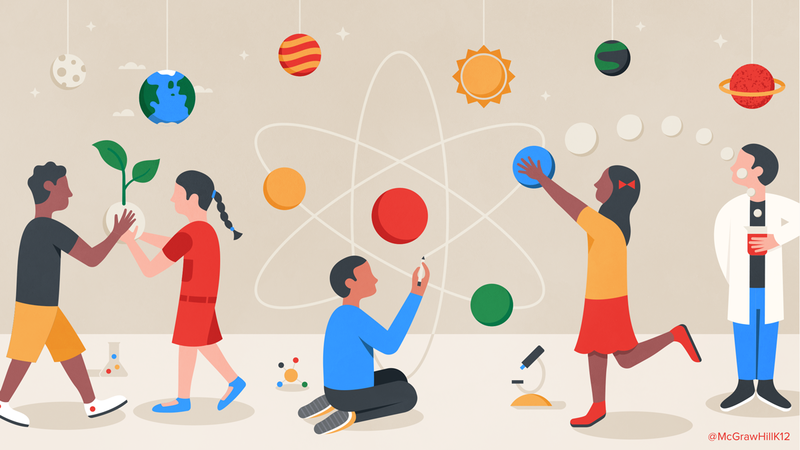 Science teachers can also boost self-efficacy by bringing science peer role models to the classroom and organizing learning activities that are not perceived as more appropriate or suitable for a specific gender. Moving beyond gender diversity, Baker also notes that educators should be careful to address the diverse needs of English learners in science class, who may need additional supports in developing strong scientific discourse skills through communicative activities — for which gender dynamics should also be considered. Baker suggests that educators use design-based activities to encourage students of all genders to experiment with engineering while addressing the Next Generation Science Standards. Hands-on activities in which students actively engage with complex science concepts can contribute to identity development in girls positively associated with STEM careers. Educators can also open windows to STEM careers for girls by actively aligning activities and projects to real-world issues that their female students individually care about. To read Dr. Baker’s paper in full, and to discover more teaching strategies and supporting research around gender equity in science education, see below or click here.